1. Sir James STEWART 1st Earl of Buchan, son of Sir James STEWART (1383-1451) and Joan BEAUFORT (bef1407-1445), was born in 1442. He had the title '1st Earl of Buchan (of the third creation)'. He died in 1499. He married Margaret OGILVIE. He married Margaret MURRAY. 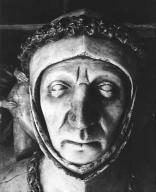 Sir James "Hearty James" Stewart, 1st Earl of Buchan of the third creation (1442-1499), the second son of Sir James Stewart, "the Black Knight of Lorne," by Joan Beaufort the widow of James I of Scotland. He was a younger half-brother of James II of Scotland and Margaret of Scotland, first wife of Louis XI of France. He was also a younger brother of John Stewart, 1st Earl of Atholl. By 1466, James married Margaret Ogilvie, the heiress of Sir Alexander Ogilvie of Auchterhouse. 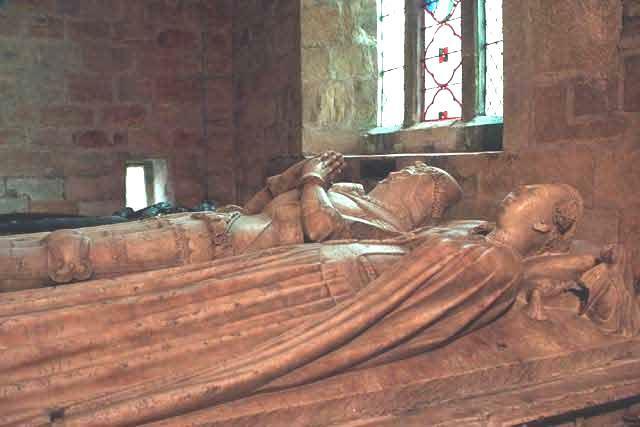 They were parents to two children, Alexander Stewart, 2nd Earl of Buchan (d. 1505) and Isabel Stewart of Buchan. A mistress of James IV of Scotland. She may have been the mother of Lady Janet Stewart, who was in turn a mistress of Henry II of France. In 1467, James III of Scotland, granted to his uncle and his wife the lands of the Baronies of Strathalva and Down, with the Castle of Banff, and the fishings of the water of River Deveron. In 1469, James III conferred the Earldom of Buchan on James Stewart. James took the titles of Earl of Buchan and Lord Auchterhouse. James III gave Traquair House and all its lands to his favourite, Robert Boyd, 1st Lord Boyd. Then a few years later to his "Master of Music" who in turn sold it on to the King's uncle the Earl of Buchan for the equivalent today of a few pounds. When the southern barons entered into a conspiracy against the King, the Earl of Buchan naturally remained loyal. The King crossed the Forth, and passed into the north-eastern counties, where a strong force rallied round him. He then marched southward, and came in sight of the rebellious barons at Blackness in West Lothian, and the Earl of Buchan attacked and drove back the left wing of the insurgent army. Negotiations were opened, and the Earl of Buchan insisted on severe measures against the insurgent nobles; but George Gordon, 2nd Earl of Huntly and William Hay, 3rd Earl of Erroll were opposed to this, and they retired to the north. It was evident, however, that Buchan’s view was right. A pacification was arranged in May, 1488, in which the barons promised to return to their allegiance and maintain the rights of the Crown and the peace of the kingdom; and thereupon the King disbanded his army and returned to Edinburgh. 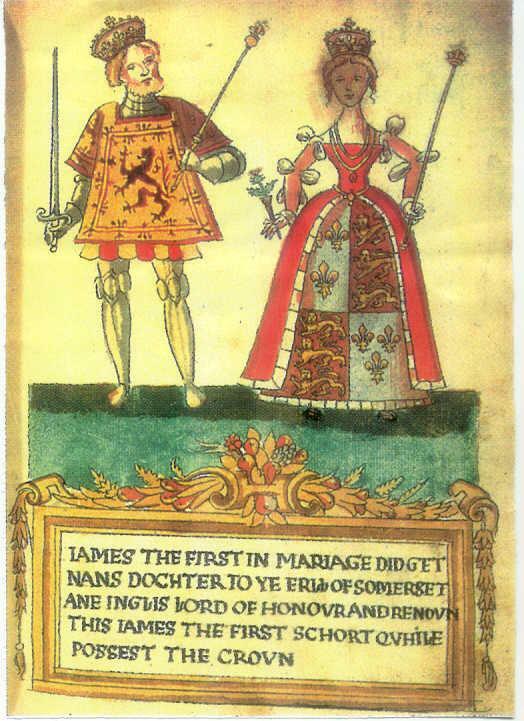 James Stewart had several illegitimate children with his mistress Margaret Murray (b. abt 1446), many of which were later legitimized by a royal charter issued in 1488-1489, James Stewart, 1st Laird of Traquair (1480-1513) and Agnes Stewart (married first Adam Hepburn, 2nd Earl of Bothwell, secondly Alexander Home, 3rd Lord Home and thirdly Robert Maxwell, 4th Lord Maxwell). Like her half-sister, Isobel, Agnes was the mistress of King James IV of Scotland, and was probably the mother of Lady Janet Stewart. She died in February, 1557. The Earl of Buchan died in 1499, and was succeeded by his son, Alexander. 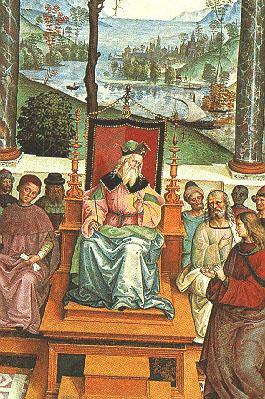 Alexander STEWART ( -1505). Alexander had the title '2nd Earl of Buchan'. He/she died in 1505. 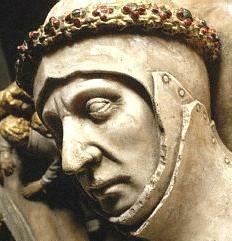 James STEWART (1480-1513). James was born in 1480. He had the title '1st Baron (Laird) of Traquhair'. He married Catherine RUTHERFORD on 9 November 1505. He died on 9 September 1513 in Battle of Flodden. Agnes STEWART ( -1557). Agnes died in February 1557.